When you think about Twitter bots, the association is more with auto-tweeting than anything else. Bots are a way of signal boosting content to make sure it achieves maximum reach (or in some more unfortunate cases, attacking other accounts by spamming hashtags). Chatbots do exist on Twitter, but they're much more prevalent on Facebook. There's no reason why chatbots shouldn't pop up just as often on Twitter, but the company have dedicated much more time and effort to other developmental avenues. That's where Sprout Social come in. The company behind one of the most popular management and analytics tools have turned their attention to chatbots, and have put together a product called Bot Builder. As the name suggests, Bot Builder enables companies to create customer support chatbots for their brands. Said bots will be able to answer relatively basic support questions, verify user identification and help with other small tasks. 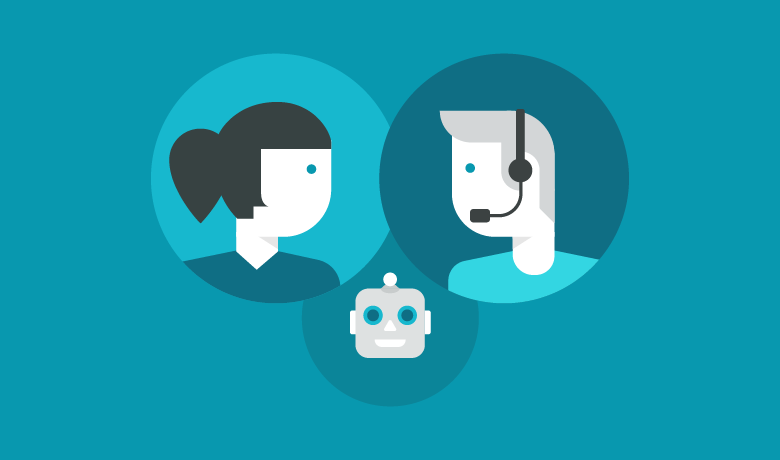 If they can't resolve the issue on their own, the bots will act as a bridge between the users and actual human customer support providers. Twitter has always been the best social media platform for customer service, but it's never really had a serviceable automated system for it. Chatbots certainly do exist on the platform, but they're more of a curiosity than anything else. Some companies have toyed with AI Twitter accounts which reply to users through tagging, but as Microsoft unwittingly demonstrated last year, there's still a lot of bugs to work out of that particular approach. The question is, since customer support chatbots seem like such a logical step for Twitter, why haven't they developed them themselves? They claim that they would rather make Twitter into a 'canvas' for third parties to develop services that benefit them, rather than trying to please everyone and ending up stretching themselves too thin. It makes sense, and Sprout Social certainly have the means and expertise to do this. The AI Sprout have used for bot builder is very basic at present. It may well become more sophisticated over time, but the main focus is on enabling brands to build the bots into their pre-existing accounts, rather than creating all new ones. Once you get that, only the most essential chatbot functionality is really necessary. There's no word on a full release just yet, but it probably isn't too far off.